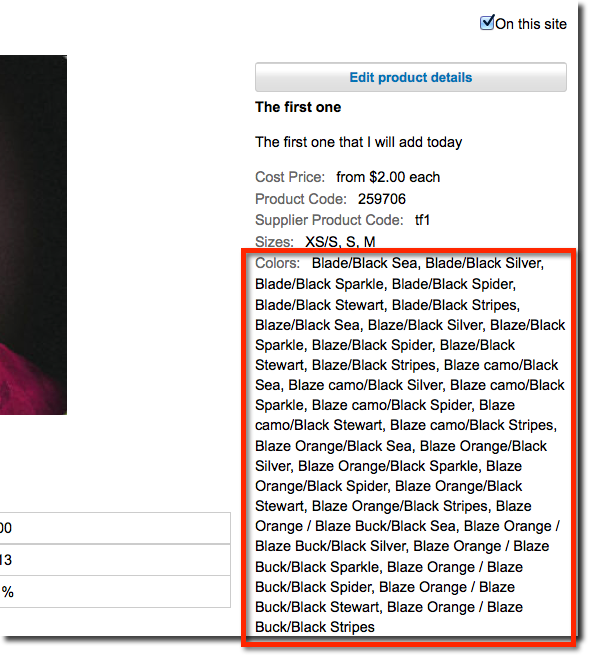 Step 1: Edit the product details fo the chosen product. Step 3: You can mass select main Color and Trim Color. Step 4: Your selections have been applied. Step 5: Make your size selections. Step 6: Make your size selections. 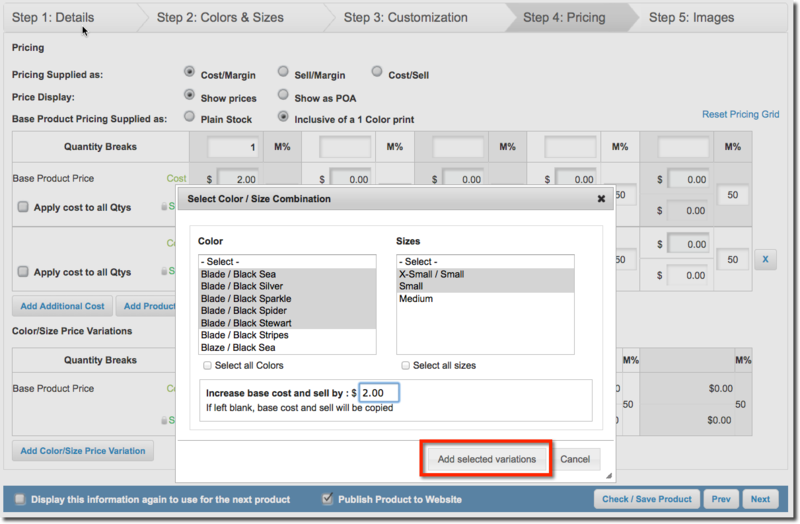 Step 7: Go to the pricing tab and select the Add Color/Size variation button. 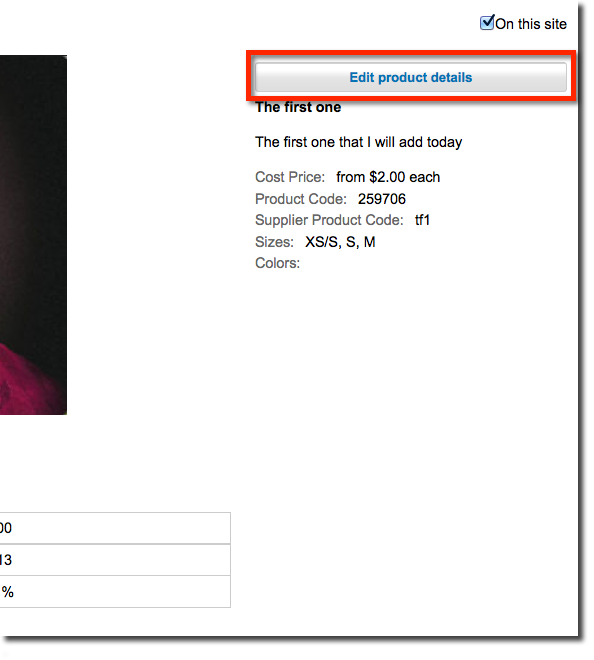 Step 8: Your previous selections are shown and are now able to have pricing.